Plaster sink to hospital HTM64 specification. The plaster sink is manufactured from grade 304 stainless steel with a satin polish finish. The plaster sink is supplied with a left hand or right hand sink bowl. The plaster sink is manufactured with an anti drip edge and turn down to all four sides. Overall size 1200mm x 600mm. The plaster sink is supplied as standard with no tap holes but can be supplied with one or two tap holes. 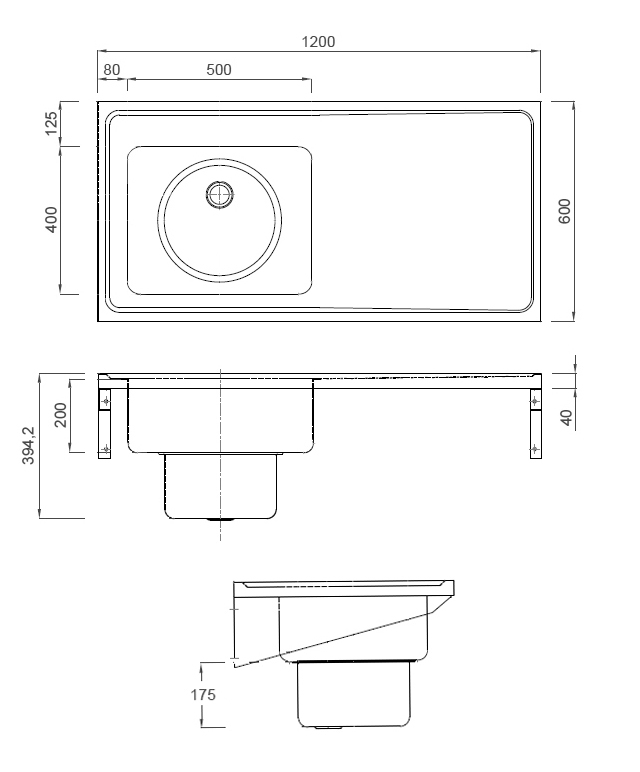 500mm x 400mm x 200mm sink bowl. Integral sump with removable stainless steel plaster basket and cover. 38mm flush grated unslotted waste fitting, no overflow. To order usually 3 to 5 working days. To see the full range of slop hoppers and hospital equipment. To order usually 7 to 10 working days.